This piano was made by Petrof. 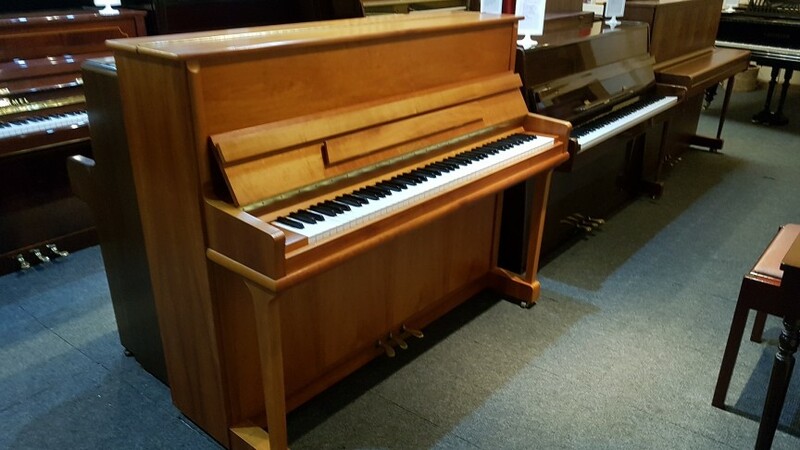 The instrument is in a light mahogany case, with an 88 note clean keyboard. A benefit is the third pedal for muted practice. There’s a 3 year GUARANTEE, FREE local DELIVERY AND FIRST tuning. Welcome at the showroom plenty of FREE parking.